How quickly the seasons pass: the hope that spring gives turns into sumptuous summer months and now there's a change in the air as autumn strides into view. It's a perfect time to plan for next year, take notes and pictures as a record and start dreaming of 2018 displays. The relentless watering and feeding of glasshouse crops is slowing down so our attention turns to propagating plants for the next generation. And so the great big horticultural wheel turns once more. Autumn is the season to admire grasses in particular and the beds past the west end of the house are currently looking a bit like autumnal fireworks with echinaceas, sedums and persicaria strutting their stuff amongst grassy froth. 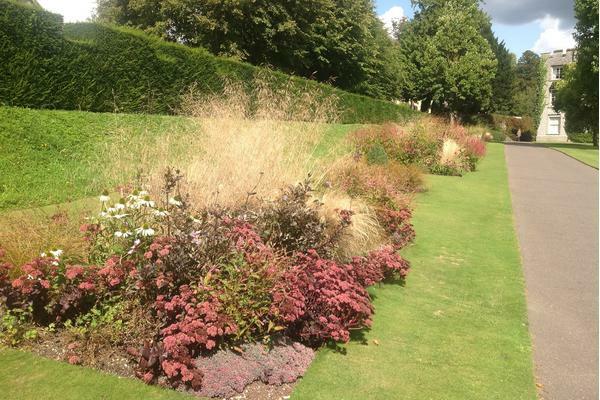 It's a delight to engage with seasonal changes in the garden and grasses are great autumn plants, as are the paniculata hydrangeas towards the northern part of the garden, which are displaying aging pink blush flowers at the moment- a colourful change from their pristine young creamy heads of summer months. In the Kitchen Garden the runner beans have been unusually impressive this year. The July/August rain was to their liking. Consequently it's been difficult to keep up with the bean harvest. Second generation courgettes are continuing to fruit and extending the harvest period considerably with their healthy new foliage untainted by mildew-yet! That all important summer rain, however, has meant that box blight has been rampant this year and continues to be so. 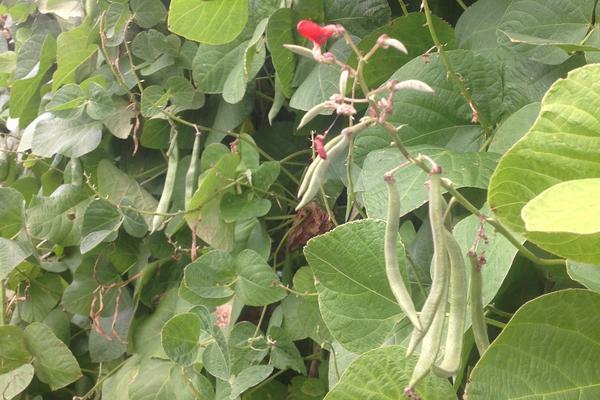 Almost every day in recent weeks there has been a Hutton Alert day, which indicates that the conditions for blight have been ideal for it to prosper. 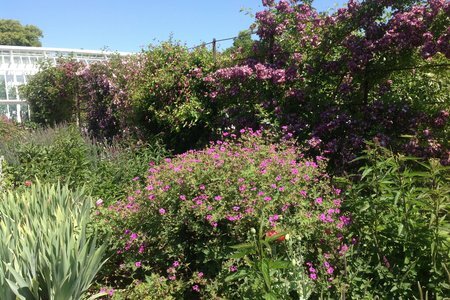 It's wreaking havoc throughout the hedges in the Walled Garden. This fungal disease is a modern day nightmare and crushes a gardener's optimism as it's difficult, expensive and time consuming to control. Hey-ho it's apple harvest time and Stu has begun to harvest this year's crop. Fruit is his forté and harvesting is the natural conclusion to his fruit year. 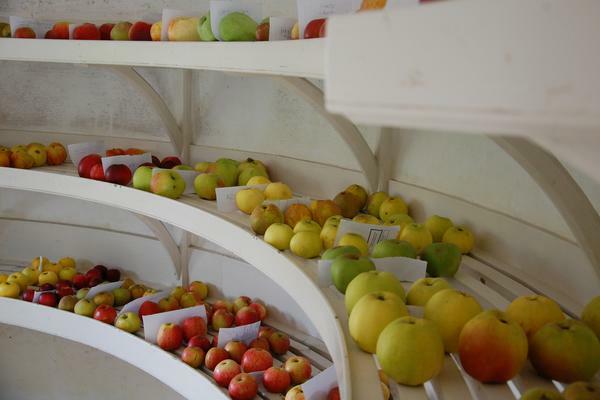 We need to plant more fruit trees, don't you think? They needn't be a gigantic problem as there are so many ways to grow them. 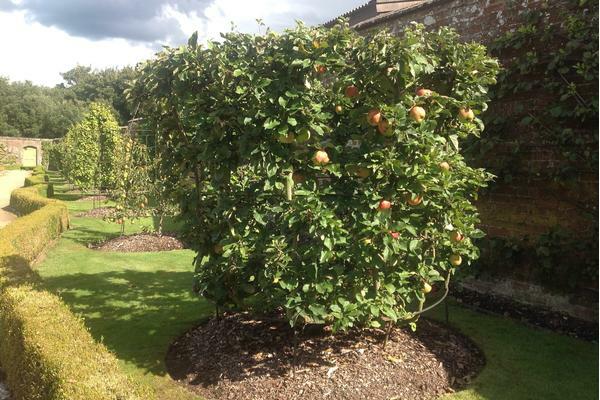 If you come into the Walled Gardens you'll see a variety of training methods which could easily be adapted for smaller gardens and the reward is delicious fruit, blossom and often a good display of autumnal foliage. Why not consider one for autumn planting? 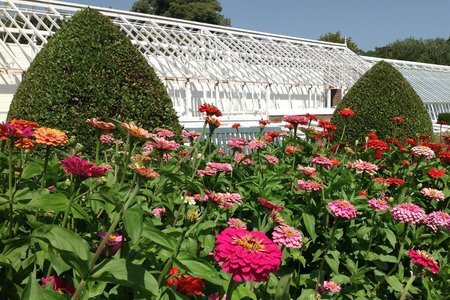 Gardener Jack, and often a merry band of volunteers, continue to patrol the grounds seeking out weeds and unruly plant development like heat seeking missiles. Warm soil and rain is the combination elixir for germinating weed seeds so the gang need to develop an eagle eye to find them all - quite a task I can tell you. 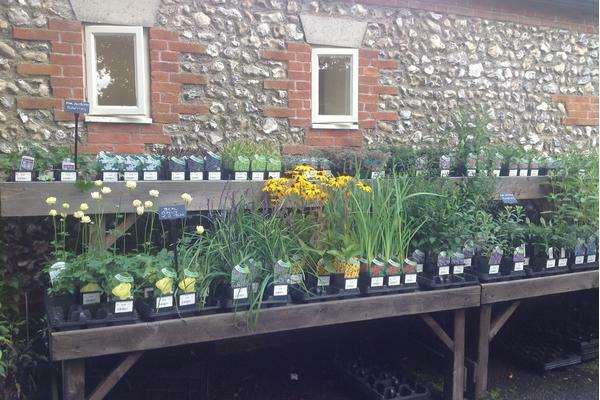 Small 9cm square pots of terrific garden plants are for sale once again and are located in plant sales outside the Gardens Shop. Autumn is a brilliant time to establish new plants in the garden with residual warm soil from summer and light autumnal rain to help. These small plants are ideal for enriching existing planting schemes at home or for creating a brand new bed - cost efficient too! 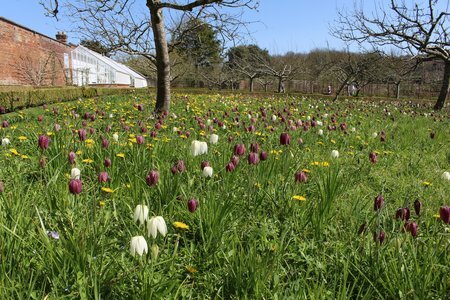 By the way it's the preferred size of plant at West Dean for planting out and now's the time to do it.